All of your doors will require a handle pair and hinges. Your handle pair enables your door to be opened and closed from either side of the door and your hinges serve two purposes. The first is to attach your door to the door frame and the second enables the door to be ‘swing’ open and closed. 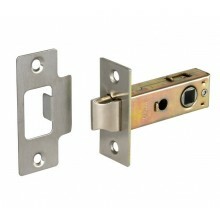 If you have a ‘standard’, non-locking internal door you will also require a latch. The latch is the mechanism which retracts when you push down on the lever, enabling your doors to be opened and springs out once the lever is released to hold your door shut. Typically a three lever sash lock is fitted on internal doors. This combines a latch and key locking mechanism in one unit and supplied complete with the keys to operate the lock. 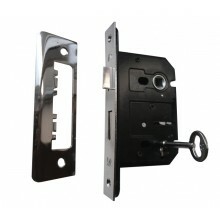 This product is often fitted in conjunction with an escutcheon pair, which covers the keyhole on both sides of the door. The escutcheon pair sits below your handles and is sold separately to your lock to enable them to be matched with your handles for uniformity. 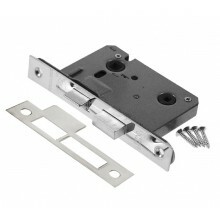 A bathroom mortice lock is perhaps one of the most common options for your bathroom door. This works in much the same way as a key sash lock, with the latch and locking mechanism in one unit. However the lock part is operated by a thumb turn on the inside of the door, instead of a key. This is typically sold separately to the lock itself, as like the escutcheon the thumb turn sits below the handles so is typically matched to their design. A non-locking double door is typically fitted with a latch and rebate kit, which enables the latch to close into the second door, rather than a door frame. It is worth noting that you will have a primary door which is fully functional and a secondary door which is usually held stationary using a flush bolt. For more tips on choosing interior doors, why not view our earlier blogs, 6 Tips for Fitting New Interior Doors and 8 Tips on Choosing Cupboard Handles.